Galaxy Note 9 to have 4,000 mAh battery, faster wireless charging? The Galaxy Note 9 may indeed have a battery that’s much larger than what we’ve seen on Note flagships in the last couple of years. Ice universe, who has a solid track record with information on unreleased Samsung devices, says in his latest tweet that he is 100 percent sure the Galaxy Note 9 battery has a 4,000 mAh capacity. And, as discovered by GalaxyClub, Samsung also seems to be preparing a faster wireless charger, which would support all the rumors of a higher capacity battery on the Note 9. 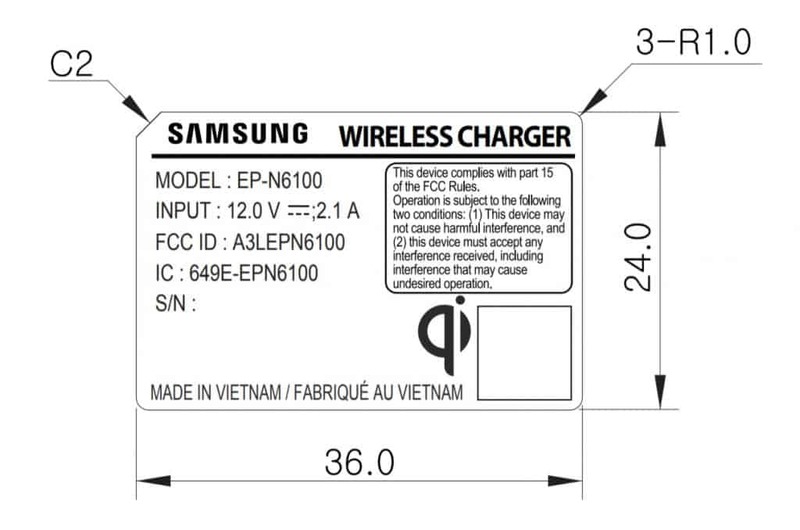 Samsung launched its convertible wireless charger – model number EP-N5100 – with the Galaxy S9 this year. The EP-N5100 has a 9 volts and 1.67 amperes input rating, the same as the company’s fast wireless chargers that came before. At the FCC, a new charger with model number EP-N6100 has been certified, with an input rating of 12 volts and 2.1 amperes. Samsung’s current fast wireless charging was introduced with the Galaxy Note 5 and Galaxy S6 edge+, both of which had a 3,000 mAh battery. The company’s flagship phones have received a boost in battery capacity since then (especially the edge/Plus models), so an increase in those fast wireless charging speeds has been long overdue. And that increase couldn’t come at a better time. If the Galaxy Note 9 does end up having a 4,000 mAh battery, it would be a substantial jump in battery capacity compared to even the Note 7. It would also be a return of what was originally one of the highlights of the Galaxy Note lineup: long-lasting battery life to go along with the slew of productivity features the S Pen makes possible. Of course, we wouldn’t recommend taking any of this information as 100 percent accurate just yet. There are many indications that the Note 9 will have the largest battery seen on Samsung’s mainstream flagships, but it’s always best to keep your expectations low until solid evidence starts showing up. If it does end up having a 4000mah battery and better specs than the S9, then I may upgrade from the S8+. I didn’t think the S9+ was worth the extra cash to upgrade.